80 BILLION SQUARE METERS OF EXCESS FABRIC ARE SENT TO LANDFILLS EACH YEAR. Unless a product is designed for zero-waste production, it is impossible to avoid cutting scraps. The larger the quantity of apparel produced, the larger the amount of deadstock or leftover textile waste that is sent to landfills. The amount of underutilized fabrics sent to landfill will continue to grow unless we begin to reevaluate what "waste" actually is. INDONESIA IS THE WORLD’S SECOND LARGEST OCEAN POLLUTER. As a developing nation, Indonesia faces many challenges. 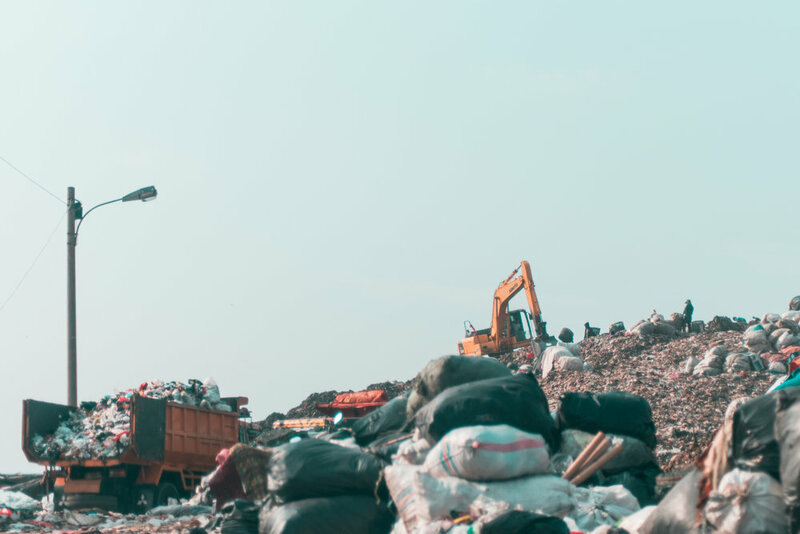 Inadequate waste management services – yet alone awareness – plague the archipelago, allowing the country to become the world’s second largest ocean polluter. The capital of Jakarta produces a staggering 7000 tons (28.5% plastic) of waste each day. Of the collected trash, only an abysmal rate of 7.5% (2% in rural regions) gets recycled. Currently, Indonesia does not have the proper resources to tackle this growing waste epidemic. 3.3 BILLION METRIC TONS OF CARBON DIOXIDE WAS EMITTED BY THE APPAREL INDUSTRY IN 2016. 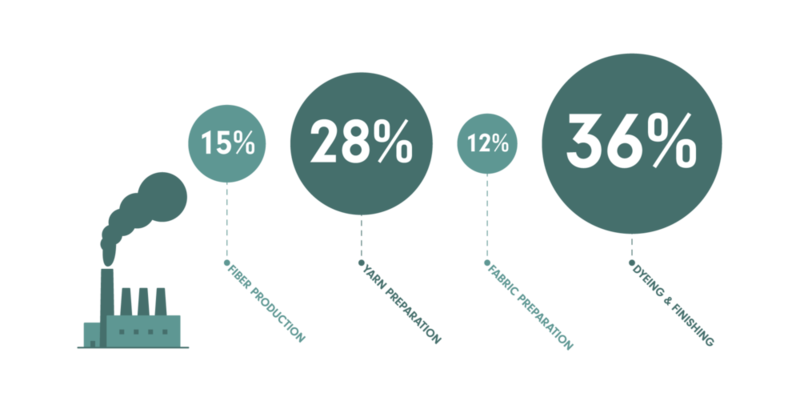 The apparel industry alone represents 6.7% of global greenhouse gas (GHG) emissions. The majority of this impact occurs during textile manufacturing, before the assembly of the garment even begins. With global manufacturing concentrated in Asia, GHG emissions in these stages are driven by apparel manufacturing’s reliance on hard coal and natural gas to generate electricity and heat. 60 MILLION WORKERS ARE EMPLOYED (AND GENERALLY EXPLOITED) BY THE GARMENT INDUSTRY. Do you know how your product was made? Where did it come from? Who made it? Did you know that 80% of the garment industry workforce is composed of women between the ages of 18-35. As one of the world's largest industries, the garment sector consistently exploits cheap labor and violates human rights in many countries across the globe (mostly in developing nations, but even the United States is not immune to this). You should feel good knowing about how your product was made. TOPIKU MEANS "MY HAT" IN INDONESIAN. In 2014, while working at a non-profit in his home country of Indonesia, our founder Monty Hasan was given the opportunity to visit local villages and meet with artisans who crafted bags from upcycled materials. This inspired him to create TOPIKU. 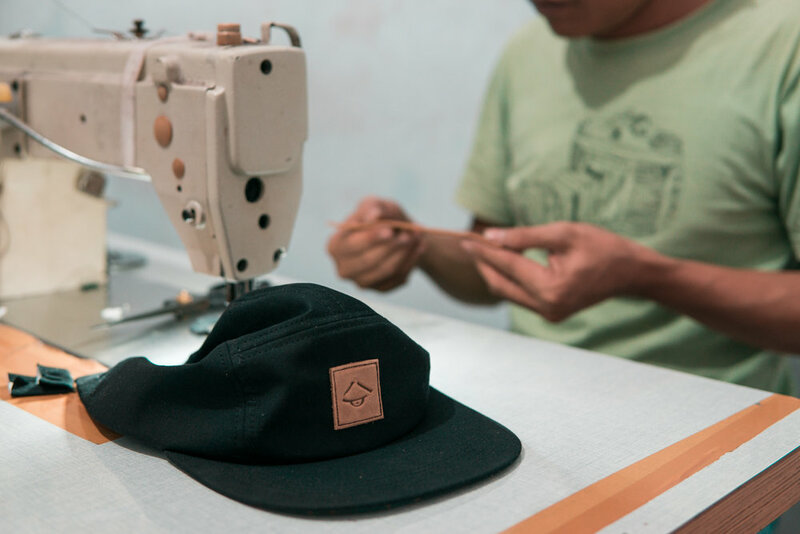 Our hats are each handcrafted from upcycled and recycled waste materials, salvaged from landfills, that would otherwise add to Indonesia’s ever-growing problem of waste management. Why does trash have to look like trash? With each product, we carefully evaluate appropriate alternative material sources. Buckets are salvaged from landfills and recycled into brims. Leather scraps are collected from local businesses and then recut into patches and straps. Fabrics are upcycled directly from garment manufacturers' leftover or deadstock textiles. This process allows us to divert material from ending up in landfills. Since we don’t order any new fabrics, we eliminate the need for the energy- and water-intensive stages of fiber, yarn, fabric, and dyeing production – Reducing our carbon footprint by over 80%. By encouraging our manufacturers to reuse waste materials, they can begin to reevaluate what waste truly is. To further cement our environmental impact, in Indonesia, we sponsor the cost of health insurance for 14 trash pickers and fund waste management education programs through our partner Waste4Change. We utilize ethical craft rather than "sweatshop" garment factories commonly employed by fast-fashion brands across the world by collaborating with local home industries in the village of Cigondewah in Bandung, West Java, Indonesia. Home industries allow men and women to work from the comfort of their own home, participate in a closely-knit community, and provide them a platform to share their craft through their specialized skills. Our community of hat-makers are the only employer of women in the Desa Rahayu neighborhood in Cigondewah. We offer both men and women equitable work opportunities and pay them a living wage of almost double the local minimum wage. Our commitment to industrial ecology will form the basis for long-term sustainable environmental, social, and economic growth in these developing communities. Batik is a unique Indonesian wax-dyeing art form that has been practiced for centuries. We purchase excess batik cuts from Danar Hadi that otherwise would have been disposed of, and incorporate them into our hats. By doing so, we hope to share the beauty of this traditional art form as well as promote cultural story-telling patterns that add more meaning to each hat. Who needs polka dots when you can have mega mendung?